How rug hookers have fun. The Woolwrights’ annual hook-in was on Saturday. They always do a spectacular job organizing the day with excellent vendors, snacks galore [hookers get hungry! ], and lots of opportunity to network and catch up with friends old and new. I spent the past ten days being a bird nanny for seventeen very spoiled hens and eight guineas, so I was a little late getting to the hook-in. I took my tombstone angel to work on. I knew I had to make a beeline to Jan Cole, The Wool ‘n Gardener, to buy some of her fabulous spot-dyed wool for the tombstone background behind the angel. I must confess that I did not do any hooking! I was much too busy shopping, talking, looking at others’ hooking projects and the excellent rug show. Although I didn’t pull one loop, it was a great day and was good for my hooking soul. I will get busy hooking my tombstone angel this week. I should have all the wool I need [and more]. 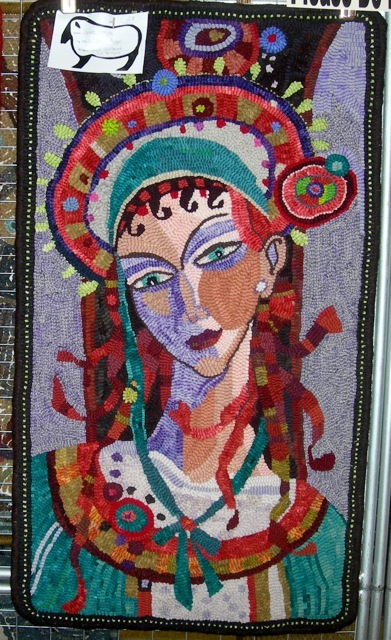 Look below for photos of a few of the many beautiful rugs in the rug show. There’s a lot of beauty out there and in a huge room full of rug hookers. A collection of stoney wool for my tombstone angel rug. 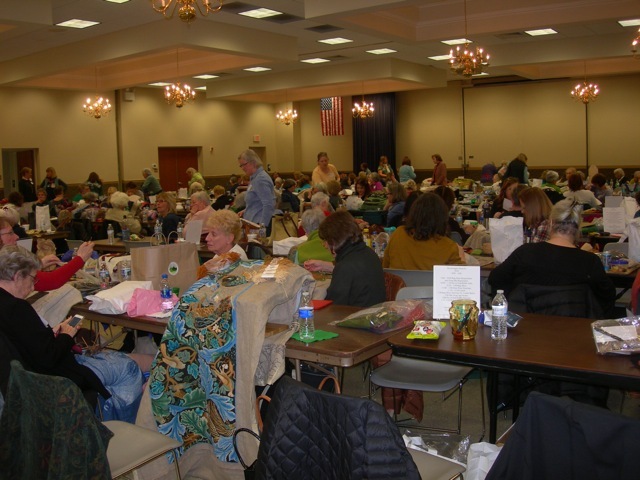 There were over 250 rug hookers gathered in Lancaster, PA for a day of fun. Wistful Angel designed by David Galchuck and hooked by Debra Smith. Mr. Bones designed by Ruth Hennessey and hooked by Jean Barr. This beautiful LARGE rug designed by Pearl McGown and hooked by Helen B. Lynch.